Reminiscent of Tiffany stained glass, Utah Tiffany Stone is known for its crackled marbling of creamy white, rich purple, smoky lavender, and inky black. This material's rare and beautiful colors make it one of the most desired stones among gem collectors all over the world. Scarce and attractive, Utah Tiffany Stone is renowned among collectors and rock hounds for its unique appearance. Its brecciated look is primarily comprised of rich purples, blending with delicate lavender, creamy whites, and inky blacks. This matrix of colors comes together, forming interesting and surprising patterns within the stone. Follow along as we examine the unique characteristics of this fantastic lapidary material. 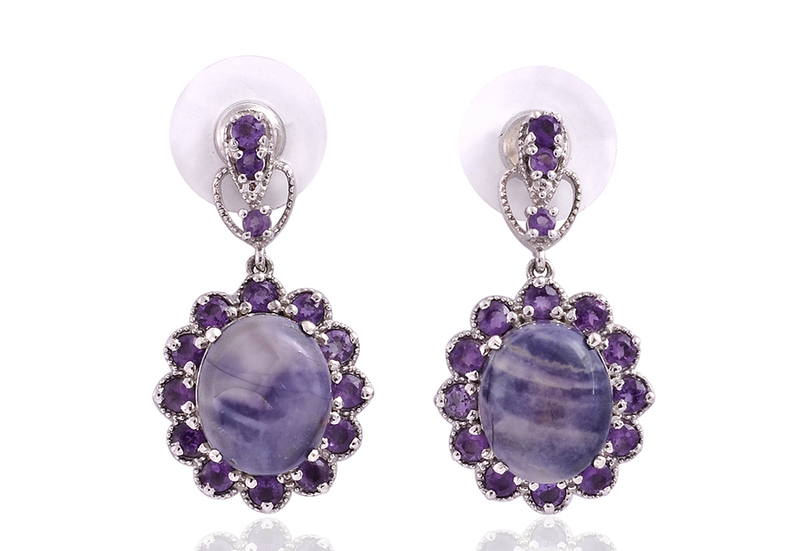 This material is primarily composed of purple fluorite. The stone's matrix typically includes bertrandite, chalcedony, and opal. The mix of the material varies from specimen to specimen, so no two samples can ever be expected to be the same! Bertrandite is of particular note, as this mineral is a source of beryllium. Utah Tiffany Stone is primarily mined for this beryllium, and only a small amount of rough makes it to lapidary use, increasing its rarity further. While the material has some translucent elements, it is primarily opaque. For this reason, it is shaped into cabochons. Occasionally, beads may also be formed as well. Ranking 6 to 7 on the Mohs scale, it is moderately resistant to scratching and abrasion. 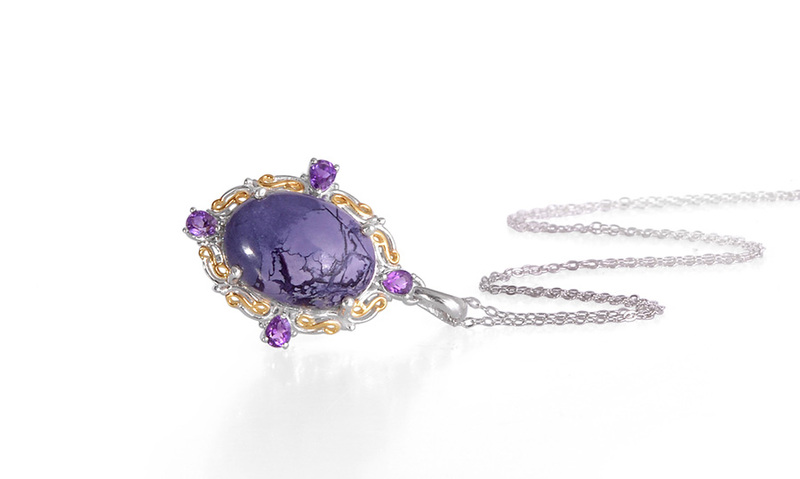 Lapidarists are especially fond of the stone, as it takes a polish well and produces exquisite results. When polished, the blend of minerals takes on a resinous, greasy, or waxy luster. This material has undergone no additional treatment. When this lapidary material first entered the market, it proved to be an immediate success. Due to its pleasing blend of colors, it's easy to see why! With the general scarcity of this rock, it is not uncommon to find rough slabs going for premium prices. And now, with the mine closed to the public, these costs are only expected to rise. This is truly a collector's stone and is not found for regular sale. • Two apocryphal stories exist surrounding the name of this gem. Some sources have suggested that the cut slabs of material resemble glassware produced by Tiffany and Company. As a result, they began calling it Tiffany stone. This particular story has been refuted many times. • Others have said the stone is named for a miner's daughter. The tale told explains that the unnamed miner would pick nodules of material to give to his daughter as gifts. Her name is sometimes given as Tiffany Harris. Unfortunately, pinning down the truth behind either story has proven difficult. • Utah Tiffany Stone is sometimes known as ice cream opalite or purple opal due to its swirled, creamy appearance. It may also be called opalized fluorite or opal fluorite. Due to the popularity of this lapidary material, many dealers have been trying to capitalize on its fame. The original material will be identified as originating from the Brush-Wellman mine, and should have the signature blend of colors. Reputable dealers should have no trouble disclosing the origin of material that they sell. • Additionally, some sources may identify this rock as bertrandite or beryllium ore. Obviously, this is regarding the beryllium content of the stone. Utah Tiffany Stone is only found in one location worldwide. Deep in Western Utah, located in the Sevier Desert is the Brush Wellman's mine. This deserted is nested in-between mountains and foothills at its borders, adding to its isolation. The Sevier Desert is named after the river that cuts through this harsh terrain, the Sevier River. Early Spanish explorers nicknamed it Rio Severo, which means "wild river." 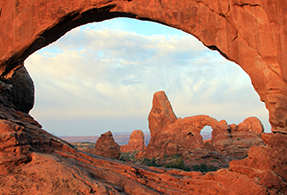 It's incredible to think that this beautiful stone is birthed from this rugged landscape. This area was formerly the site of significant volcanic activity. Utah Tiffany Stone was formed from some of this volcanic material. As water circulated underground, it would penetrate these layers of minerals. 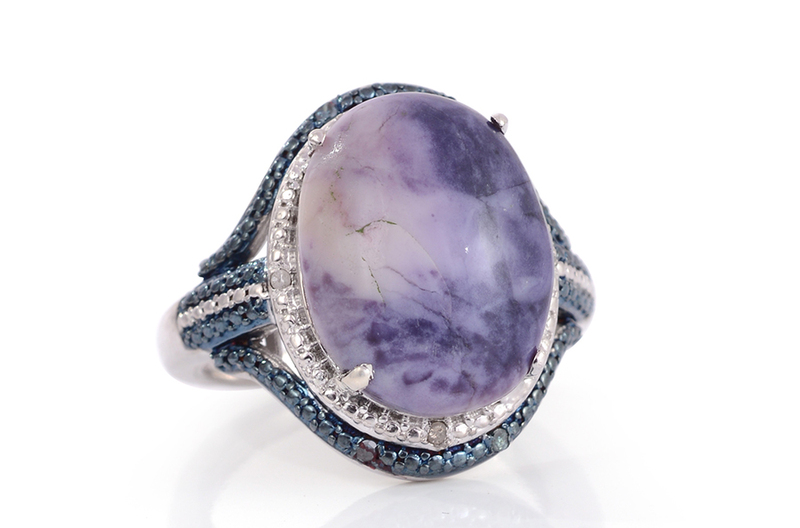 It caused the fluorite content of the rock to opalize over time, lending to its shimmery appearance. This water also aided the deposition of other minerals into this rocky material. The Brush-Wellman mine is located in the Topaz-Spor Mountains, at Spor Mountain. The mine has been in operation since the late 1960's. Raw ore is mined to supply the Brush Wellman Beryllium Plant, located 50 miles to the east. The plant is located in this lonely region as the processing of beryllium produces toxic dust, which is very dangerous. The plant is the only source of processed beryllium in the United States. The mine is also the largest known source of bertrandite ore in the world, one of the primary sources of the mineral. The finished metal is used for aerospace, medical, and military purposes. Mined rough comes in a variety of sizes. It can range from small nuggets up to large nodules weighing up to 100 pounds. The exciting part is that the beauty of the rough isn't known until these nodules are opened! Thanks to the unique combination of minerals in this stone, an exciting variety of blends easily occur from sample to sample. This is even true of material collected from the same area of the mine. The plant consumes the majority of ore mined. Through the processing of this ore, only about 2% of processed material yields the mineral. Therefore, it is very rare for the rough material to become available on the market. Previously, material for sale was either obtained through illegal means or old, private collections. Fortunately, newer outcroppings of this stone were discovered and claimed, putting the gemstone back on the market. Despite being closed to the public, Shop LC worked with the mine's owners to acquire our supply of production material. Ranks 6 to 7 on the Mohs scale. The color is an opaque blend of purples, lavender, creams and blacks. Sourced from the Brush-Wellman mine in the Topaz-Spor Mountains, Utah. 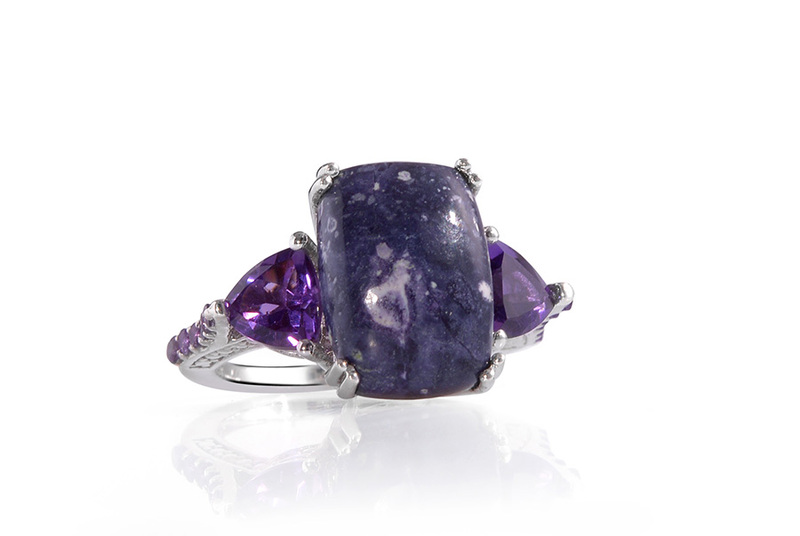 All natural, this gemstone has not undergone any additional treatment.